WITH YOUR GOOD CREDIT, 1000.00 DOWN 109.00 PER MONTH O.A.C. 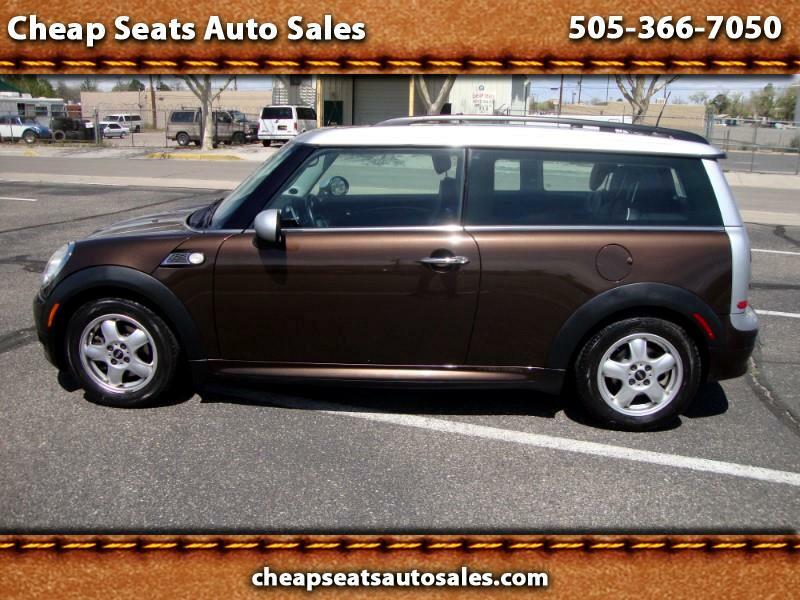 NEW MEXICO CUSTOMERS ONLY, THIS IS ONE GORGEOUS MINI CLUBMAN, HOT CHOCOLATE METALLIC EXTERIOR, WITH PANTHER LEATHER INTERIOR, AUTOMATIC TRANSMISSION, ALL POWER EQUIPMENT INCLUDING PANORAMIC POWER SUNROOF, 88000 MILES, JUST SERVICED, SILVER ACCENTS, FUN TO DRIVE WITH GREAT GAS MILEAGE, WON'T LAST!!! BUY WITH CONFIDENCE, LIC AND BONDED DEALER, CALL SCOTT AT 505-366-7050 WITH ANY QUESTIONS, PRICE OR PMTS. PLUS TAX, TITLE, AND 249.50 DEALER PROCESSING. PMTS. BASED ON 72 MONTHS AT 3.89% APR. O.A.C.